Zainal: Our proposition is not to throw money at the MNCs or to give them very high incentives. We can’t play that game. 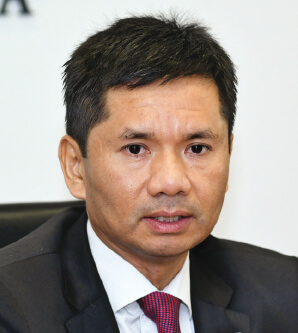 INVEST KL Corporation (InvestKL)is gaining momentum in drawing investments from East Asia as it aims for another 10 multinational corporations (MNCs) to set up shop in Greater Kuala Lumpur this year. While the 73 MNCs that InvestKL attracted between 2011 and last year were mostly from the US and Europe, the prospects are promising where China and Japan are concerned. “I believe we are gaining traction among companies in China and Japan, so it is picking up,” InvestKL CEO Datuk Zainal Amanshah tells The Edge. Setting up a regional hub is a more logical proposition for American and European companies, given the geographical distance, but the idea may seem counter-intuitive to Chinese and Japanese MNCs, which are not that far away. “But they are beginning to realise that by setting up a hub in Asean, by getting closer to their customers and tapping our talent pool and its capability, it can be a strategic advantage for them,” says Zainal. Last year, InvestKL drew 12 MNCs with total approved and committed investments of RM2.2 billion. In 2016, it attracted 13 MNCs that brought in RM3 billion of committed investments. “Last year was good; we set a target of 10 while our board aimed higher for 12, and we managed to achieve that,” says Zainal. Acknowledging that last year’s investment value was lower, he says it is not just the upfront investments that are important to InvestKL but also whether the MNCs will stick around for the long haul. Last year’s committed MNCs brought the total number that InvestKL has attracted since 2011 to 73. They have committed to invest RM11.07 billion, some RM4.5 billion of which has since been realised. According to Zainal, the 73 are from among the hundreds of global MNCs that InvestKL assessed through a rigorous multi-stage filtering system. The overall committed investments thus far will create 10,971 jobs, says InvestKL. Of these, 5,381 are already on the payroll with four-fifths of the jobs held by Malaysians who are earning an average of RM114,676 a year. InvestKL’s mandate is to bring in 100 MNCs by 2020 to invest in Greater Kuala Lumpur, including Selangor. The organisation says it is on track to fulfil that mandate. When asked about the overlap with its Selangor counterpart, Invest Selangor Bhd, Zainal says InvestKL focuses on large MNCs involved in services. It cooperates with Invest Selangor on other types of opportunities, he adds. For example, InvestKL passes on manufacturing-centric MNCs to Invest Selangor or the Malaysian Investment Development Authority to pursue. “It’s a good understanding and when we work together, we get a lot done,” says Zainal. But the competition is intense as other Southeast Asian countries are also seeking to attract foreign investment. Some of Malaysia’s neighbours boast similar competitive offerings, such as an English-speaking population and supportive government policies. “We can’t win them all, let’s be realistic,” Zainal admits, but adds that the key attraction of Kuala Lumpur is “value for money”. So far, Malaysia’s sweet spot has been its backing for MNCs setting up regional hubs, each with up to 200 employees, who are typically high-skilled, multilingual and have good analytical abilities, he says. Last week, InvestKL launched the Malaysian Global Talent (MGT) programme — a collaboration with Talent Corp Bhd to groom high-level Malaysian corporate professionals and leaders. The MGT programme will see local professionals placed in participating MNCs with mentorship and scholarships in place. The goal is to develop local talent who can fill high-ranking regional or even global roles at these MNCs, Zainal explains. “So, from executive level, you can move up to management level and then to senior management level. That is our true north. This programme is aimed at creating more leaders of the future,” he says, adding that the current target is to produce 5,500 such leaders over the next five years.